THIS WEEKEND OF 26 APRIL STILL OPEN,SO BOOK NOW, Sleeps 20 PEOPLE SO BOOK NOW.. .Big shad and game fish being landed. 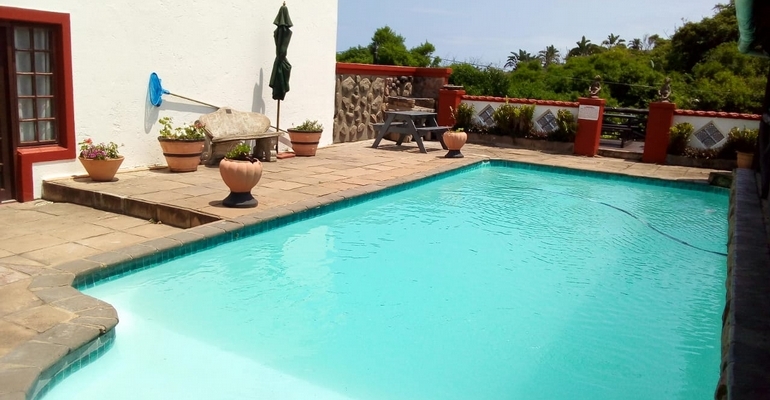 This lovely,safe,20 sleeper self-catering holiday house, and is situated in Hibberdene, on the KZN South Coast. It offers 4 bedrooms and 3 bathrooms, Full DSTV (No Decoder or smart card needed) and great indoor & outdoor entertainment options. We have both sea and inland views, and an optional maid service, for total relaxation. Our Villa is only 1km from the main fishing and Blue Flag Beach . . . or you can rejuvenate on the sundeck, while watching the bush buck wonder right past you. Good fishing days are back, with large shad and rock fish being caught. Dec bookings now open, min 7 nights.price R4500 p/ night. A 50% deposit is required on booking with the balance to be paid 1 week before arrival. A once-off R500 admin and linen fee will be charge, plus a R1000 breakage deposit applies. 039 699 3738 or 082 664 4892.